For anyone that suffers from back problems having a supportive and comfortable mattress is essential to having a good night’s sleep. At Dalzell’s we provide Free Delivery of your new Adjustable bed and we’ll also recycle your old bed throughout Northern Ireland and Counties Dublin, Louth & Monaghan. Orthopaedic mattresses have been designed with features aimed at supporting and softly surrounding the body to ensure that aches and pains are reduced during sleep hours. Offering targeted support for the back and joints orthopaedic mattresses usually come with a firmer rating. An orthopaedic support mattress is particularly good for people who frequently suffer from back or neck pain as its special pressure-relieving properties provide extra support to where it is needed most. 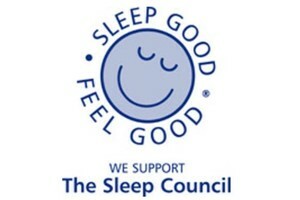 Helping to maintain a good posture while you sleep orthopaedic mattresses will allow you to wake up having slept well and feeling refreshed. 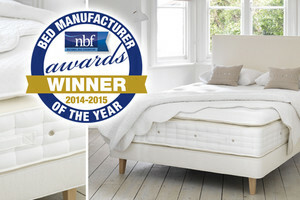 Using the finest fillings, and the best natural materials, the Natural Sleep Company range of orthopaedic mattresses have been Chiropractor endorsed and are custom made to order. The brand's product lines include the Comfort, Premium and Therapeutic range. There are many different types of orthopaedic mattresses available from open coil sprung interior models to pressure relieving memory foam varieties. Open coil sprung orthopaedic mattresses or Bonnell Spring mattresses are ideal if you are looking for firmer support. Complete with density and gauge ratings, these models tend to be less expensive. The Respa Backcare, BackCare Supreme and Postureline models are perfect for those that experience aches or pains when sleeping and deliver all over therapeutic rest night after night. What’s more, your Respa orthopaedic mattress comes with a highly generous and reassuring 5 Year Guarantee representing a great investment in your future health. Pocket sprung orthopaedic mattresses are of a higher quality providing individual support with each fabric-encased spring responding to how your body moves while you sleep. If your preference is for a pocket sprung orthopaedic mattress, choose a model with a higher number of springs as these will offer firmer support. Providing firm support and similar pressure relieving qualities to the pocket spring mattress are memory foam mattresses with orthopaedic support. An increasingly popular choice, these mattresses offer firmness with cushion comforting elasticity to prevent pressure point build-up, responding naturally to the body’s weight. King Koil is a proven back care specialist; renowned for their comfort and support, King Koil orthopaedic mattresses are strengthened with special features so that the back and spine regions receive proper support and healthy alignment. King Koil is the only bed collection endorsed by the International Chiropractors Association for its special support features designed to improve back and spine care during sleep. Kaymed’s range of orthopaedic mattresses provides the pressure relieving comfort you expect from this quality brand, with its commitment to guaranteeing a great night’s sleep. To appreciate the extensive collection of orthopaedic mattresses we have available choose online or in-store at our premises in Markethill. Dalzell's has over 500 beds and mattresses in stock so you won't have to wait long to enjoy your new back support mattress. We'll provide Free Pillows, Free Delivery and Free Recycling of your old bed throughout Northern Ireland and Counties Dublin, Louth & Monaghan (with a daily service to Dublin and Belfast) when you buy your orthopaedic mattress from us. We’ll also remove & Dispose of Packaging and place your new mattress in a room of your choice for added peace of mind. Delivery is available at competitive rates throughout the rest of Ireland. Of course, we don't stop there! We can offer additional discounts for Multibuy purchases and with our Price Promise, we know you won't be disappointed. Call, Email or Visit Us In-store today for a great deal. The Hypnos Orthos Cashmere 6' Mattress offers head-to-toe zonal support from its three zoned ReActive™ 10 pocket spring system to provide either a firm or extra firm comfort level. Upholstered with naturally soft and breathable layers of Cashmere, Wool and eOlus™ sustainable fibre, this orthopaedic mattress is hand tufted, covered with a Silver infused Belgian Damask, and finished with 3 rows of genuine hand side-stitching. Part of the Orthos Support Collection, the Hypnos Orthos Latex 5' Mattress incorporates a Three Zoned ReActive™ 10 Pocket Spring System, every spring has 10 Active Turns – each spring independently senses your shape and weight distribution to provide Head-to-toe Zonal Support. Available in a Choice of Firm or Extra Firm Comfort Level, this orthopaedic mattress is upholstered with naturally soft and breathable Layers of Latex, Cashmere, Hand Teased Hair and eOlus™ Sustainable Fibre, which help regulate body temperature.